The Toronto Real Estate Board reported 3,648 rental condominium apartment transactions through the TorontoMLS system in the fourth quarter of 2012, up 13% from the 3,234 transactions recorded during the same period in 2011. The number of units listed for rent at some point during the fourth quarter was up by close to 18% on a year-over-year basis. “The number of rental transactions through the TorontoMLS system has been growing quite strongly over the past year, as many renter households are attracted to investor-held condominium apartments and townhomes that offer modern finishes and amenities in popular areas throughout the Greater Toronto Area,” said Toronto Real Estate Board (TREB) President Ann Hannah. One-bedroom and two-bedroom apartments accounted for the vast majority of transactions. 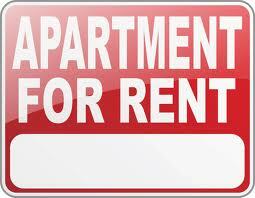 The average one-bedroom rent was up by more than 4% annually in the fourth quarter to $1,626. The average two-bedroom rent was up by almost 2% to $2,088. “The rental market became better supplied in the fourth quarter compared to the same period in 2011 as growth in listed units outpaced growth in sales. With strong new condominium apartment completions over the past year, investors with a longer term investment horizon chose to rent their units rather than sell,” said Jason Mercer, TREB’s Senior Manager of Market Analysis. “While the condo rental market became better supplied in the fourth quarter, there are no indications of oversupply, given that rent increases continued at or above the rate of inflation. Furthermore, the condo vacancy rate reported by CMHC for 2012 only edged upward by one tenth of one per cent compared to 2011,” continued Mercer.